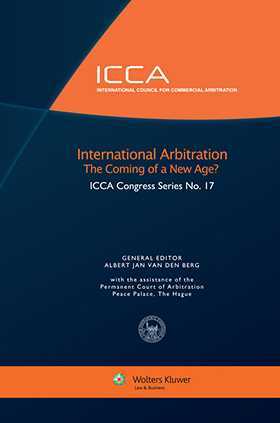 This volume collects the articles emanating from the twenty-first Congress of the International Council for Commercial Arbitration (ICCA) held in Singapore in 2012. It opens with a thought-provoking keynote address on the present Golden Age of arbitration and its potential weaknesses and covers both practical and theoretical topics addressed by renowned arbitration practitioners and scholars. Two principal themes are addressed. 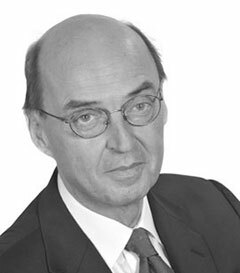 The first deals with various aspects of the arbitration proceedings – from the agreement to arbitrate and the commencement of proceedings (with an introduction to i- and e-arbitration) to the evidence-collecting phase, the tribunal’s decision and the issue of legal and arbitration costs. ;The second examines the interaction between legal orders and national courts and arbitration; the need for and role of ethical codes of behaviour; the balance between investment protection and “policy space”; the future of ICSID; and the role of technological tools in arbitration. The volume closes with the report of a judicial debate among eleven senior judges addressing issues in the application of the 1958 New York Convention. Joint Plenary Opening Session A International Arbitration: The Coming of a New Age for Asia (and Elsewhere). Breakout Session B1 Agreeing To and Initiating Arbitration. Breakout Session B2 The Arbitral Proceedings Commence, with an Introduction to E and I Arbitration. Breakout Session B3 Evidence, Document Production, Witnesses, Experts and Hearings. Breakout Session B4 The Tribunal Resolves the Dispute. Breakout Session B5 Legal and Arbitration Costs. Breakout Session B6 The Use of Arbitral Secretaries under the New UNCITRAL Rules and Otherwise: Opportunities and Pitfalls. Breakout Session C1 General Introduction - Transcending National Legal Orders for International Arbitration, Both Commercial and Investment Arbitration; Legal Theories;Emerging Transnational Legal Procedure; Roles of International Law and Applicable National Laws; Lessons for ASEAN from the (Amended) EU Brussels Regulation and Lugano Convention etc. Breakout Session C2 The Relationship between International Arbitration and the National Judge:Both Arbitral Seat and Enforcement; Anti-Suit And Anti-Arbitration Injunctions; Bad Faith Decisions Under the New York Convention; State Liability for Interfering in the International Arbitration Process. Breakout Session C3 The Relationship between International Arbitration and the Regulator(s): The Need for Ethical Codes, Guidelines and Best Practices for Arbitration Counsel, Arbitrators, Arbitral Secretaries and Arbitral Institutions: The DB/MS Rio Code, the ILA Code and the CCBE Draft Code. Breakout Session C4 The Future of European Community Investment Policy: Navigating Between a High Level of Investment Protection and Increasing Demands for “Policy Space” – Lessons from the US Experience. Breakout Session C 5 The Future of ICSID, Ad Hoc Committees, Appellate Tribunals, International Investment Courts and Investment Arbitration. Joint Plenary Closing Session D Judicial Debate on the General Theme: “State Courts and International Arbitration: The Future”.